Step back in time to another era and spend some time at Axle Canyon Ecological Preserve. Take the opportunity to get away from the noise of the city and come listen to the beautiful music of nature. 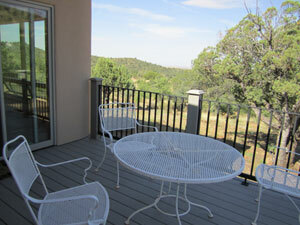 Yes, Axle Canyon Preserve is off the grid and our source of electricity rises each morning and sets each evening. Although the sun sets in the evening, never fear, you will still have electricity for preparing meals or reading your favorite novel. A deposit of $100 is required to secure a reservation. The deposit is applied towards the rent. Cancellation - Two weeks prior to reservation - 100% of deposit. One week prior to reservation - 50% of deposit. No deposit refund for a cancellation less than one week prior to a reservation. There is no housekeeping staff at Axle Canyon Preserve and in order to keep our rates reasonable, we ask our guests to leave the accommodations clean for the next guests. Cleaning supplies are provided. 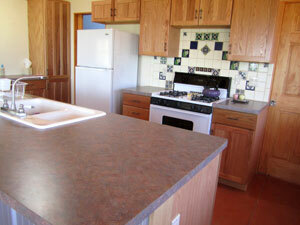 Cleaning deposit is returned if guests leave their accommodations clean. Axle Canyon Preserve is an ecological preserve and wildlife sanctuary. Pets are not allowed. 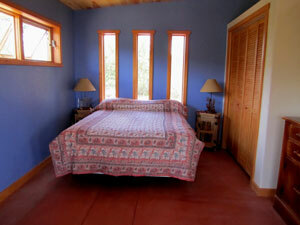 The floor plan is an open design with a bedroom area that sleeps two. 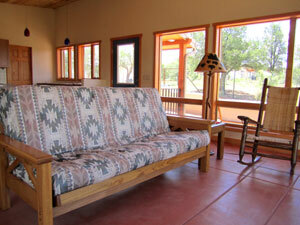 The main room includes the dining area, kitchen and living area with a couch that folds out into a queen bed. The kitchen is fully equipped. No television, No internet connection, No land-line telephone. Cell phone reception is adequate in some areas around the property. Radio reception/selection is modest, including an NPR station and a classical music station. Day visits and picnics are available by appointment. 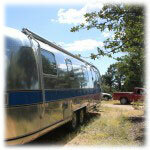 Information for overnight camping and Airstream accommodations coming soon.